← Oscar FILOSO Moreno makes his pro debut, December 10 NC. Don’t be fooled by fake knockoff synthabags! 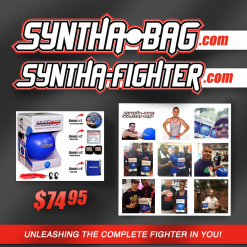 The only place to get the real SYNTHABAG FITNESS BALL is at SYNTHABAG.com like these guys! !